How will new fintech solutions affect banking? What regulatory concerns must banks consider when evaluating new fintech products? Should a bank build, buy or partner with fintech companies? These questions and more will be addressed by banking industry professionals who will bring their unique perspectives and experiences to the Banking + Fintech panel discussion. 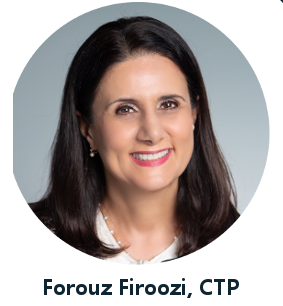 Forouz Firoozi is a senior vice president and a manager in Wells Fargo Treasury Management Product group, responsible for partnership development with a focus on innovation. Forouz joined Wells Fargo Bank in 2013 from Bank of America where she was a Senior Vice President in treasury for 11 years. Before becoming a banker, Forouz worked in technology sector holding senior positions in product management, product development and business development for 15 years. She has her MBA from Duke Fuqua School of Business and Master of Science in Electrical Engineering from Royal Institute of Technology in Stockholm, Sweden. Her banking licenses include Certified Treasury Professional (CTP), SWIFT for corporates and Six Sigma Green Belt. As Alliant’s head of marketing and digital banking channels, Michelle Spllerberg is the driving force behind Alliant’s digital banking evolution. She is responsible for Alliant’s data-driven digital marketing efforts and led the charge behind Alliant’s new mobile banking app. She strongly believes that the consumer experience can be improved via smart yet simple technology. 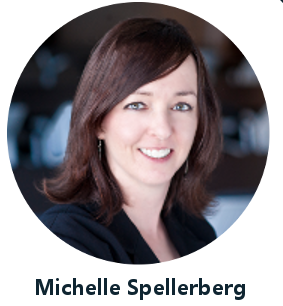 Prior to joining Alliant, Michelle helped companies embrace emerging media and technology to improve customer acquisition, product penetration, sales enablement, and overall customer satisfaction. Patricia Tripar is the Head of Product Development & Electronic Banking, Corporate & Commercial, for Santander Bank, N.A. She is responsible for treasury management online, portal, and mobile banking platforms. Patricia joined Santander in 2016. 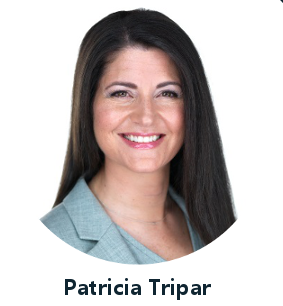 Prior to Santander, Patricia has held roles in banking and consulting with West Monroe Partners, Royal Bank of Scotland (RBS), BMO Harris Bank, and ABN AMRO/LaSalle Bank, in Chicago, IL. She began her career at Ernst & Young Consulting in Cleveland, OH. She received a Bachelor of Science in Business Administration degree in marketing and a MBA both from John Carroll University, Cleveland, OH. She lives in Boston, MA.